Comment: Repair base of window frame and door frames that have wood rot. Some possible repair to area of eaves. Repair wood plank on deck that has wood rot. Adjust french doors that are difficult to open and close. Comment: There is some rot on our home that needs to be repaired and then painted. Most of our house is brick. The is a section of wood, and shutters that need to be repainted. Birmingham Siding Contractors are rated 4.73 out of 5 based on 741 reviews of 31 pros. 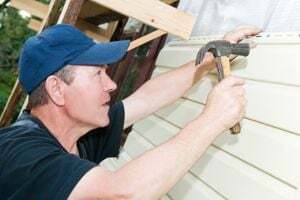 Not Looking for Siding Contractors in Birmingham, AL?